We are able to supply Mullein Oil with the vast support of our team. 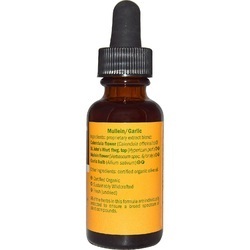 We have been able to offer our clients a qualitative range of Mullein Oil. Formation of excessive wax in the ear causes inflammation, abscess and suppurations in the ear. If not treated on time it may lead to deafness. With Mullen Oil, this condition can be treated as it helps to remove the wax easily. We have been able to offer our clients a qualitative range of Mullein Oil to our clients. Composition : Mullei Flower, Glycerin, Acidum Benzoicum Acidum Boracicum, Acidum Carbolicum, Chloroformum. 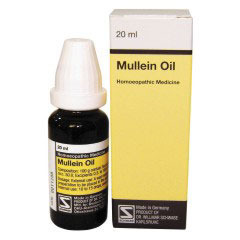 Mullein Oil for Ear ache, Dry scaling of inner ear, Otalgia. With a felling of obstruction and partial deafness due to earwax. We have founded ourselves as a recognized suppliers of Mullein Oil in the country. Earache, initial stages of otitis media, tinnitus, hardened earwax.